Astrid van der Zijden-Wanrooij, M.Sc. Astrid left the ORL in August 2014. Click her LinkedIn tag. In 2002, I moved to Enschede to study Biomedical Technology at the University of Twente. I did my masters in Biomechanical Engineering. For my master thesis, I came to work at the research department of the Sint Maartenskliniek (SMK) in Nijmegen, examining possibilities for improving the reliability of clinical gait analysis. After receiving my master’s degree in Biomechanical Engineering in 2008, I started working at the SMK as a Ph.D. student. My Ph.D. project is a collaboration between the SMK and the Orthopaedic Research Laboratory (ORL) at the UMCN St. Radboud. When I am not working at the SMK or ORL, I am probably driving my Honda CBR or playing soccer somewhere in The Netherlands. My Ph.D. project focuses on combining motion analysis data with finite element analysis of the femoral bone during impact of a fall. 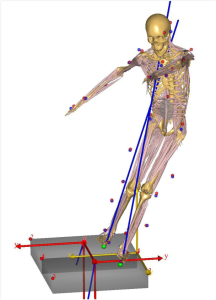 Several fall techniques will be recorded with the Vicon motion analysis system, accelerometers and force plates. Differences in positioning, direction and amount of impact forces between the fall techniques will be derived from the fall motion data. Next, the estimated impact loads will be applied to finite element (FE) models of the femur. These FE models are produced with Marc Mentat, based on CT scans of cadaveric material. The FE simulations will predict how the geometry and strength of the femur will change due to these loads and if femoral fracture will occur or not. The ultimate goal is to gain insight in the effect of using fall techniques on the femoral fracture risk in the elderly and osteoporotic patients. By determining which aspects of the fall techniques decrease the femoral fracture risk, we are able to optimize fall-training in the elderly and osteoporotic patients. Fig.1: MarkerData of Anatomical Reference Points. 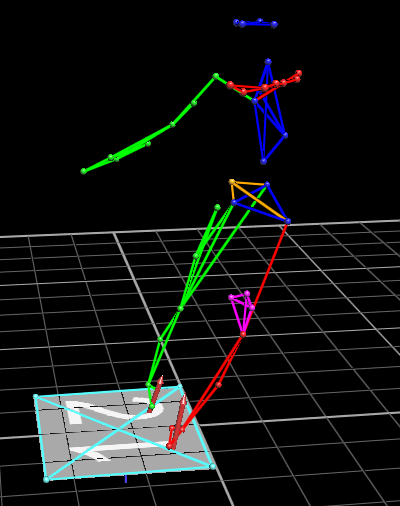 Fig.2: Musculoskeletal Modeling of a Sideways Fall.